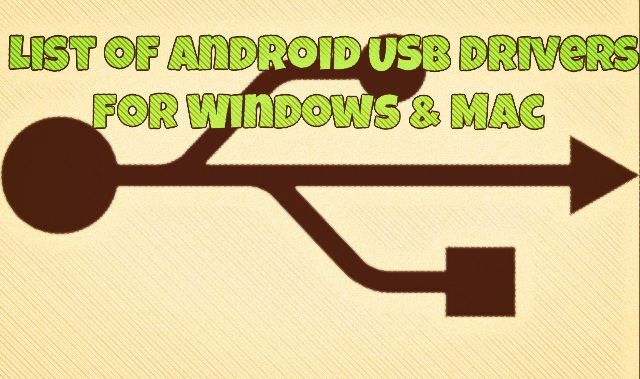 To connect the Android smartphone with the Windows or Mac you need Android USB drivers, without these drivers you can’t connect your smartphone with the system and can’t manage the files on your desktop. These USB drivers allow you to transfer media from your PC or Mac to your Smartphone’s storage. Once the drivers are installed, you can do lots of task on your system like move data from system to phone or phone to system, browse the smartphone files on your system. If the drivers are not installed you can’t do these tasks and most of the Android smartphone users are facing the same problem on their device. Today in this guide we share the Android USB drivers for all the latest smartphone like Nexus, LG, Sony, HTC, Samsung, Xiaomi, Moto etc. All you have to download the driver on your system and install, after that you can easily connect your android to your windows or MAC. 1.1 1. Google Nexus Drivers. 1.2 2. Motorola USB drivers. 1.3 3. Samsung Android USB Drivers. 1.4 4. LG Drivers for Windows and MAC. 1.5 5. Xiaomi USB drivers. 1.6 6. HTC USB Drivers. 1.7 7. Sony Android Drivers. Include devices like the Moto X, Moto G, Moto E etc. you can download the USB drivers for both Windows and Mac here. 3. Samsung Android USB Drivers. 4. LG Drivers for Windows and MAC. Include the LG G3, LG G3, LG G Flex etc. You can download the official drivers from here. All the latest drivers for the Xiaomi Device like Redmi 1s, Mi3, Mi4, Redmi note are available here. Works on HTC One M8, HTC M7, HTC One Mini etc. you can download the official HTC Sync Manager Drivers, this will install the drivers on your system. If you want to root your device or want to install custom recovery on your android smartphone, then you need a ADB and Fastboot drivers. You can download the Windows Tool here to install the ADB and Fastboot drivers. For MAC User read this guide.